The news about a mountain getting the same status as a person would certainly raise many eyebrows across the world. In New Zealand, however, the situation is quite different. Mount Taranaki, located in New Zealand's North Island, is due to get the same legal rights as a human being, according to media reports. The goal is to acknowledge the relationship between the country's indigenous people and the mountain, 'who' they perceive as an ancestor or a family member. A Record of Understanding stipulates that the 120,000-year-old mountain will have a "legal personality, in its own right" and will be protected by the government and eight local tribes. — Donna Yates (@DrDonnaYates) 20 декабря 2017 г. The agreement envisages "the best possible protection for the landmark," according to New Zealand's Minister for Treaty Negotiations Andrew Little. 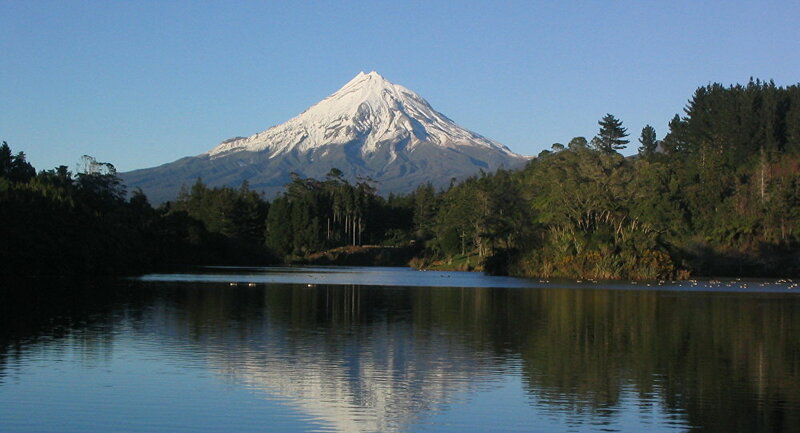 Mount Taranaki is the third geographic site in New Zealand to be granted such a status after Te Urewera National Park and Whanganui River. — Elisha Black (@elisha_black) 19 декабря 2017 г. The mountain, which is becoming an increasingly popular tourist attraction in the country, last erupted in 1775. — Trek & Mountain (@TrekandMountain) 9 декабря 2017 г. Last year, the travel magazine Lonely Planet touted the Taranaki region the world's second best place to visit, adding significantly to Mount Taranaki's popularity.